The Pittsburgh Plan's philosophy is very simple: we focus like a laser beam on the child. We try hard to do what is best for the child based on a deep understanding of the child. Children are not little adults. They learn differently, think differently, react to pressure differently, and enjoy different things. Obvious? Perhaps, but in marked contrast to many other programs, we pay attention to these ideas. Look at our program materials! They are not polished, they do not seek to impress you, the parent; instead, they are designed to be accessible to your child. In late summer, when pokeweed berries ripen, participants often exchange their crayons for sticks dipped in beautiful purple "ink." The Pittsburgh Plan goes much further than making materials accessible to the child, however -- we rely on the child to do the heavy lifting of learning! 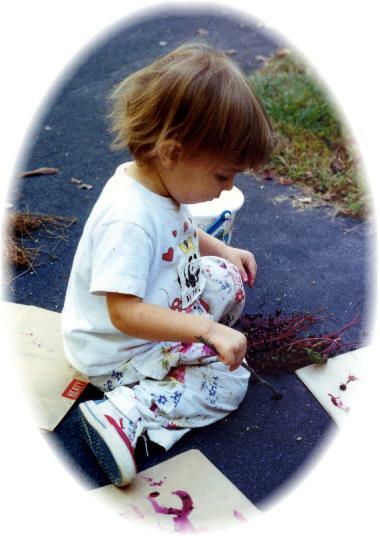 Our materials and methods are designed with one objective in mind: we want your child to be free to learn through exploration, at his or her own pace. And, we provide your child with the very best possible assistant for that bold learning project -- the one person in the entire world who knows your child best and who cares the most about your child: You! Perhaps this worries you! You may feel that you are not an expert in early childhood education, that you do not know math very well, that there is no way that you can take charge of a math and reading program for your child. As Dr. Spock famously said, "Trust yourself. You know more than you think you do." More importantly, trust your child. You will be amazed what he or she can do when given the opportunity.